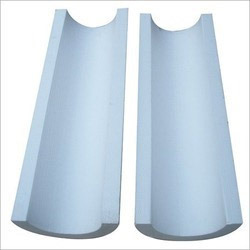 EPS Thermocol Sheet offered features superior manufacturing standards and finds use in applications involving suitable insulation and packaging support as demanded by the customers. Further, the superior construction support of these sheets also ensures these are safe & resistant from cold and heat. We can offer these in different finish and smooth finish. Some of its features include superior resistance to major volatile compounds, water, carbon-dioxide; suitable for use at homes, office, hospitals and other similar places, aids in avoiding external radiation flow directly into room among others. We, Noble Corporation, established in the year 2011, are one of the leading suppliers, traders and service providers of a wide range of supreme quality Sealants, Thermal and Acoustic Insulation & Waterproofing Materials and Allied Products. Offered product range is inclusive of Thermal & Acoustic Insulation Materials, Waterproofing Materials and Construction Chemicals. Procured from trusted and reliable vendors of the industry, these products are formulated in compliance with the industry set norms and regulations at the vendors’ end. These products are extremely appreciated in the market for their ability to withstand extreme pressure & temperatures, elegant design, optimum durability, non-toxic nature and resistance to various algae infections. Offered by us at reasonable prices, these products are extremely appreciated among our customers. Extremely motivated to attain optimum customer satisfaction, our mentor has implemented a client centric approach in our organization since its inception. Owing to our rich vendor base and well-equipped warehousing unit, these products are available with us in bulk quantities. With our wide and well-connected distribution network, we have been able to deliver these products within the promised time frame at the customers’ end.